When fewer therapeutic options are available, the physician's involvement should increase. Even when no cure is possible, much can still be done to relieve pain and suffering. From Expert Consult—Cecil Medicine, after Desbiens NA, Mueller-Rizner N, Connors AF Jr, et al, for the SUPPORT Investigators. The symptom burden of seriously ill hospitalized patients. J Pain Symptom Manage 1999;17:248-255. The family physician can help alleviate the fear, symptoms, and family stress that often make this a distressing time, keeping the patient as comfortable as possible and avoiding any impression of abandonment. A good death means being free of pain and unpleasant symptoms yet having the ability to make clear decisions and prepare for death. Care of the dying patient can be one of the most rewarding aspects of the family physician's practice. Too often, however, the physician's discomfort with this stage of life contributes to the isolation and discouragement of the terminally ill patient. Unwarranted fears of respiratory depression, addiction, or tolerance prevent the prescribing of adequate amounts of analgesics. The resulting uncontrolled pain makes those final weeks a nightmare for all. Families may disintegrate as a result of the sleepless nights, fears, and guilt that come from trying to cope with uncontrolled symptoms. Table 5-3 shows symptoms most often encountered in seriously ill hospitalized patients; some are predictable, and all are manageable to some extent. Rarely is a single symptom present, and most patients have two or more. Symptom severity can be decreased if anticipated and treated early. Eliciting and addressing the patient's concerns about anticipated suffering can often be as important as managing the symptoms. Good control of pain, nausea, and dyspnea can enable patients to die in the place of their choosing with comfort and dignity. 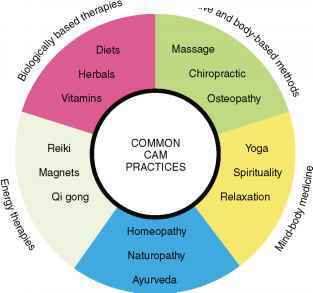 The keys to symptom control, as in all areas of medicine, are a careful history and physical examination to determine the various causes of discomfort, as well as a broad knowledge of the therapeutic agents available.